Tom Fitzpatrick is currently the president at Jero, Inc. His main focus at this time will be increasing revenue sales by strategic planning, sales operations, partnership, alliance building, account management, and customer relations. He joined our team as a part time employee in May of 2011 in our Quality Control department, while finishing up his graduate studies. He served as Jero’s management liaison in implementing policies and procedures in getting our ISO 9001:2008 accreditation certificate. Prior to joining Jero as a full time employee, Tom attended Northern Kentucky University’s Salmon P. Chase College of Law. 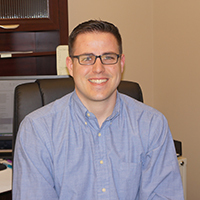 Tom Fitzpatrick holds a Juris Doctorate Degree from Northern Kentucky University, a Master of Science Degree and Bachelor of Science Degree from Easter Kentucky University. Gyneth Jenkins has been with Jero since 2006. He started with the company as the QC Manager and was promoted in 2011 to the Plant Manager. He is responsible for the operational performance of the plant, all plant personnel, equipment, facility, maintenance, and all safety requirements to ensure that ongoing plant operations are performed in an efficient and safe manner. Gyneth has over 33 years’ experience in the machining industry. Gyneth previously worked at Mazak for 20 years as a National Applications Engineer. 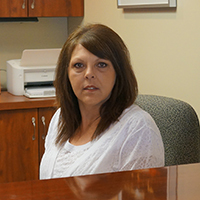 Patty Daniels is the Administrative Manager at Jero. She started with Jero in 1980 when the company was a Welding and Safety Supply Company. In 1982 Jero started manufacturing stub ends. Over the last 37 years Patty has applied her knowledge and expertise of the business to grow all aspects of the company as the Administrative Manager. Patty also has numerous years of experience in Inside Sales. She currently fills in for our Inside Sales Account Representative as needed. Patty manages all administrative duties at Jero. Areas of Expertise: Human Resources, Negotiating, Problem Solving, Leadership, Accounting, Procurement of raw material and major purchases, Inside Sales. 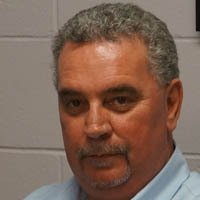 Larry Anderson is an Inside Sales Account Representative for Jero. 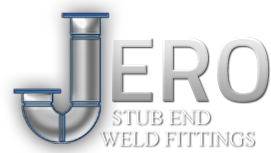 He has used his experience and expertise over the last 18 years with Jero to fulfill customer satisfaction. 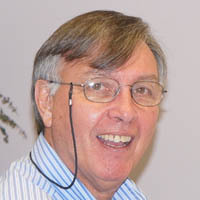 Larry previously worked as a Customer Advisory Support Representative for IBM Corp for over 25 years. Areas of Expertise: Ensuring Customer Satisfaction, Closing the sale, Resolving Customer Problems, Quoting, Price Negotiation, Order management. 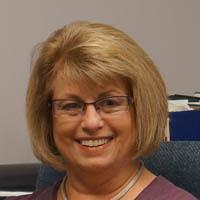 Tina Stamper started with Jero in 2007 as an Administrative Assistant. She has over 25 years of experience and knowledge of administrative duties to help grow and streamline the business. Tina also has an Inside Sales background in which she uses as a fill in for our Inside Sales Account Representative as needed. Previously, Tina worked as an Inside Account Representative, Purchasing Manager, and Project Manager at Pomeroy IT Solutions for 13 years. Areas of Expertise: Invoicing, Accounts Receivable, Accounts Payable, Credit and Collections, Procurement of supplies, Reporting, Inside Sales.